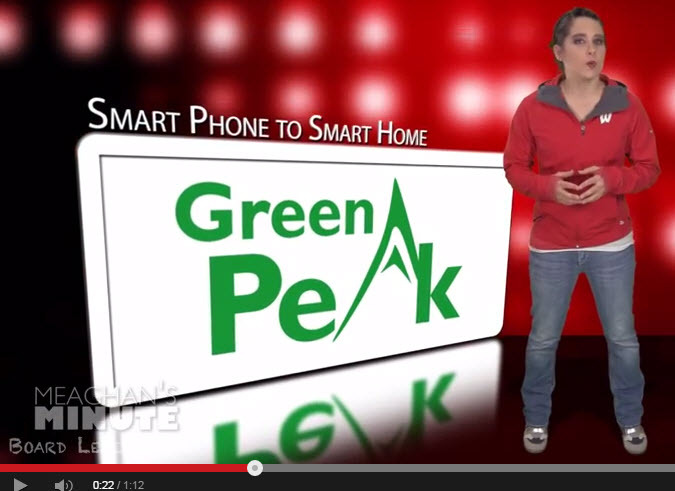 Today on Meaghan's Minute, brought to you by Memory Protection Devices, everyone is talking about the Smart Home. However, the real excitement will be the smart and intelligent home where the house is smart enough to learn how we want to live and then manage the environment to make our lives much more comfortable, safe and efficient - all by using a smart phone as a mobile dashboard. A new white paper, authored GreenPeak CEO, Cees Links, discusses and explores the importance of the smart phone and other web connected devices to the rapid emergence of the smart home. The paper also includes a discussion on Family Lifestyle systems, which are applications in the cloud that connect sensors, actuators, and controllers in the smart home, continuously connecting data from all of the devices, and learning what the normal patterns are of the home.